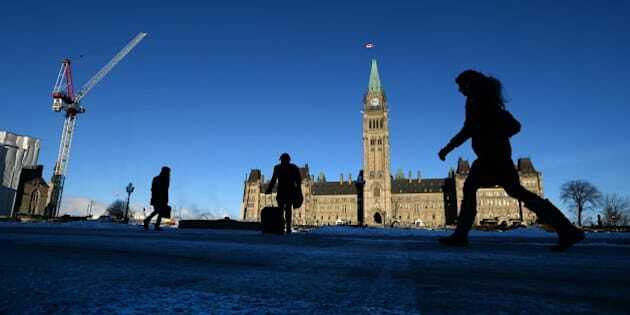 OTTAWA - The Conservative government wants to make it a criminal offence to encourage someone to carry out a terrorist attack. The Canadian Press has learned that legislation to be tabled Friday is expected to create a new Criminal Code provision against advocating an act of terrorism. A government source says an internal federal review of fatal assaults on Canadian soldiers last October identified the absence of a measure to prosecute extremists who encourage others to wage terrorism. The provision would stop short of criminalizing the glorification of terrorism — for instance simply posting an Internet video of a bomb going off. But if the video also called for a similar attack on Canadians, that would fall under the planned new measure. "This is not a glorification offence. This is about encouraging those kinds of terrorist acts," said the source, who spoke on condition of anonymity because they were not authorized to discuss the federal review. "The test that is applied is, is this advocating or promoting terrorism or a terrorist act?" On Oct. 22, a rifle-wielding Michael Zehaf Bibeau shot Cpl. Nathan Cirillo, an honour guard at the National War Memorial, before he died in a hail of gunfire inside Parliament's Centre Block. The federal push for a new offence of encouraging an attack is fuelled by concerns that Zehaf Bibeau read inflammatory online posts counselling attacks before embarking on his rampage, said the source. The bill is also expected to retool Canada's no-fly list procedures to make it easier to stop a suspected terrorist from getting on an airplane, as well as to give police more power to restrict the movements of purported extremists by lowering the threshold for obtaining a peace bond. Two days before Zehaf Bibeau's attack, Martin Couture-Rouleau fatally rammed Warrant Officer Patrice Vincent with a car in St-Jean-sur-Richelieu, Que. It soon became clear the RCMP had been aware of Couture-Rouleau — a man with jihadist sympathies — for months. The Mounties stopped him from travelling to Turkey, presumably en route to join militant fighters. But they did not have enough evidence to arrest him or further curb his movements.